Today theme for Nail Crazies Unite group is sunflowers. 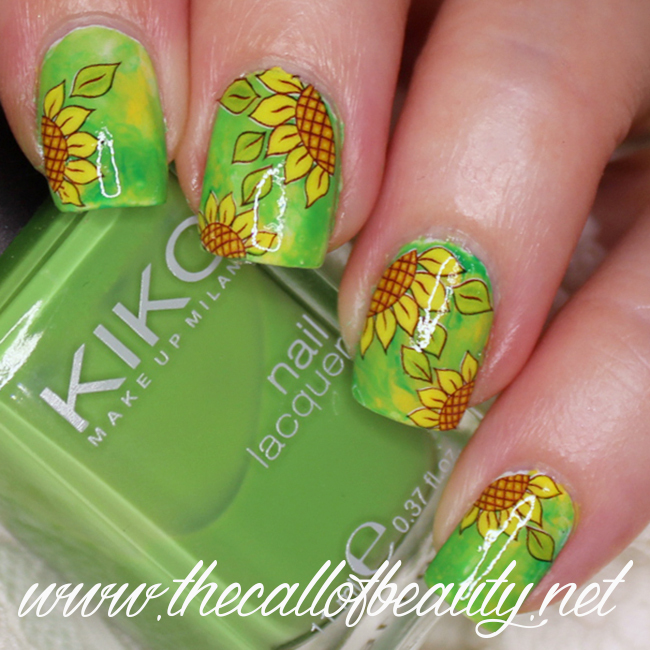 I did tons of flower manicure before but this is the first time for me trying a sunflower manicure. First of all I did a smoosh base with three colors: forest green, meadow green and yellow. 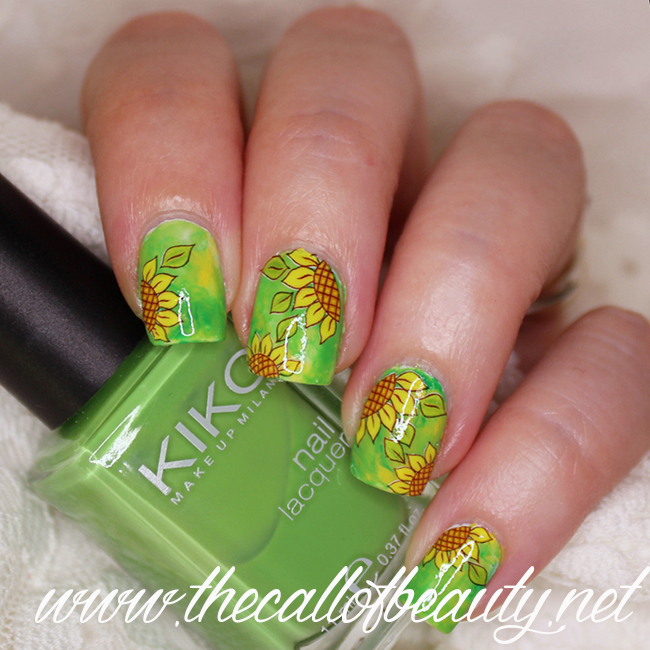 The smoosh tecnique is quite simple, you need to do a white base and then apply drops of chosen polishes directly on a stamper. Then just dab the stamper on each nail and the smoosh base is done. 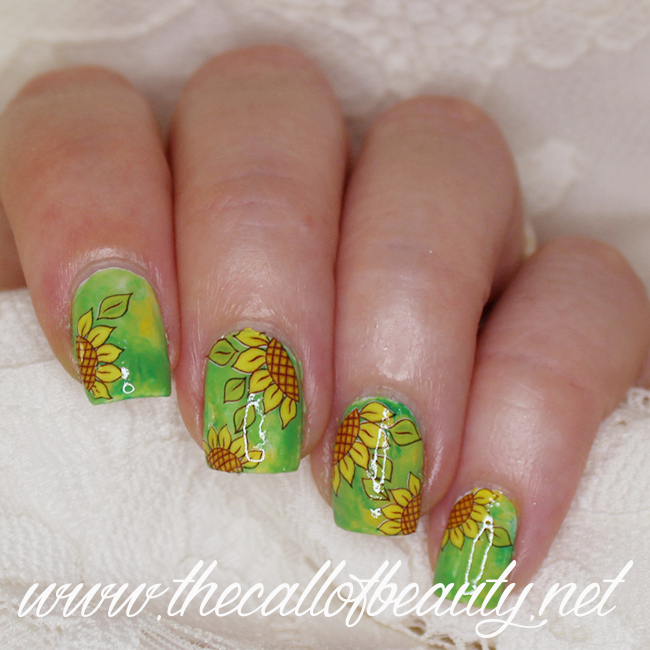 I applyed some sunflower nail decals, then I protect and even with a layer of top coat. 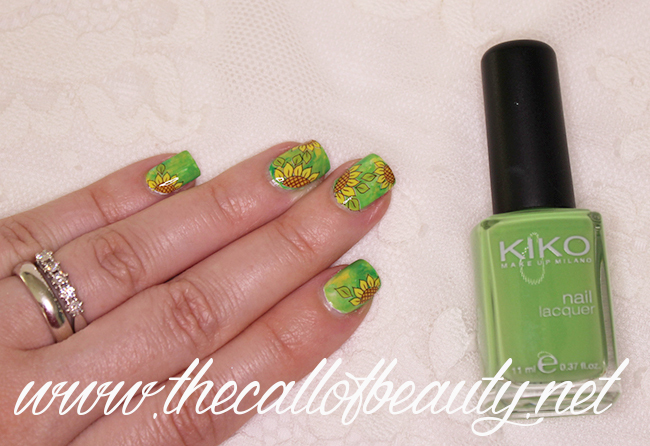 Il tema di oggi per il gruppo Nail Crazies Unite è girasoli. Nel tempo ho fatto tantissime nail art floreali ma questa è la prima volta che realizzo una manicure con dei girasole. Per prima cosa ho fatto una base smoosh con tre colori: verde foresta, verde prato e giallo. La tecnica smoosh è molto semplice da realizzare, bisogna partire da una base bianca e poi applicare alcune gocce degli smalti scelti direttamente su uno stampino. Poi basta tamponarlo su ogni unghia e la base smoosh è fatta. Ho applicato delle decalcomanie con i girasoli, quindi ho protetto ed uniformato con uno strato di top coat. Thanks a lot sweet Lisa! You made such a fantastic base for the sunflowers. Looks amazing! The smoosh is so artsy and easy!